The labyrinth leads us to amazing places. 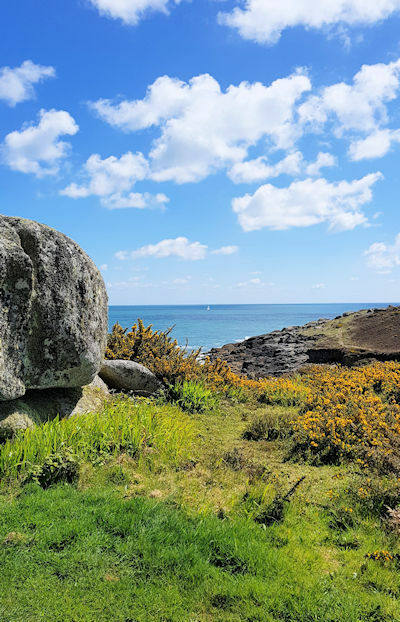 We spent last week revisiting the Isles of Scilly off the coast of Cornwall in hopes of learning a bit more about the origins of the St Agnes Troytown. We will probably never know who built it back in the 1720’s, or why, but we wanted to trawl through the archives to see if we could at least locate the earliest mention of it in the literature. 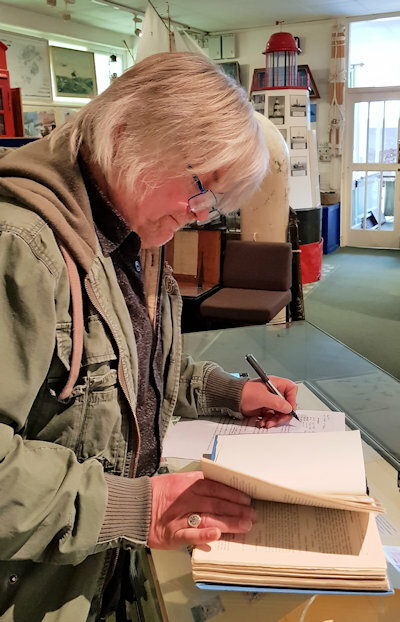 Our research work was based at the Isles of Scilly Museum in Hugh Town on St Mary’s, but as long as we were so close, we put on our hiking boots and trekked out to as many of the local labyrinths as we could manage over the course of the week. So let us take you with us on a quick pictorial tour. 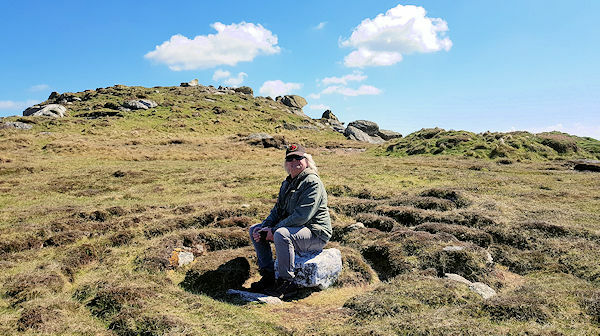 Our first destination was the Stone Maze at the foot of Giant’s Castle on St Mary’s, the main island in the archipelago. Toots from Toots Taxis drove us from the quay to a distant point on the island’s coastal path as soon as we got off the ferry on our first afternoon, and from there we set off on foot, enjoying spectacular views as we walked back to town. The Stone Maze is alongside the path as it crosses in front of the Giant’s Castle rock outcropping on the cliffs near the airfield. Slightly overgrown and with a confusing pathway, the labyrinth has been present for the past 70 years or so, its centre always marked with a large block of quartz. A man who grew up in the area told us he remembers it from his childhood in the early 1950’s, indicating that it is slightly older than previous estimates. A full report of our research findings will be included in the upcoming edition of Caerdroia 47, due out in June 2018. What a fascinating adventure into the unknown. This looks such a beautiful place too!